Symborg is positioned in the seed market. The agro-technological company facilitates the use of its products by developing new technologies for the treatment of seeds through industrial breeding and seed marketing companies. Symborg has joined the International Seed Federation ISF, a non-governmental and non-profit organization, representing the interests of the seed sector since 1924. 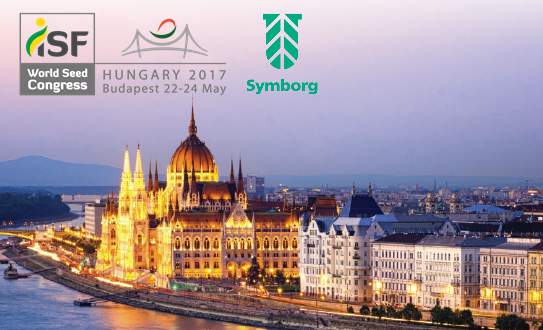 This widely recognized organization worldwide has announced the nomination of Symborg as a new member of this organization during the World Seed Congress 2017, an international meeting that brought together nearly 1700 seed industry experts from over 62 countries for 4 days in Budapest, Hungary. The treatment of seeds before sowing has proven to be an effective method to combat numerous pathological agents of the crops and to enhance their growth and yields. It is considered as one of the fundamental pillars to meet the demands of productivity and profitability of the current agriculture and also an effective method of fighting the challenge for the future agricultural sustainability that demands the feeding of the growing world population. The use of treated seeds not only helps to improve the quantity and quality of fruit, but also strengthens crops and improves their protection against the diversity of diseases and other phytosanitary risks. The treated seeds reduce the number of unproductive units, helping to spend less money on seeds that do not germinate. Another advantage is that, compared to direct administration on the crops, seed treatment allows applications with lower doses, which reduces the costs for transport and acquisition and the work resources required for their application. Symborg’s biotechnology for seed treatment provides them with microorganisms that will become future beneficial agents for the development of the plant. The most paradigmatic case is its mycorrhizal fungus Glomus iranicum var. Tenuihypharum, discovered and patented by Symborg. Once the plant grows, this powerful Glomus forms symbiosis with the roots of the plant and provides nutrients and water from the soil. It produces abundant extramatrical mycelium, which causes the root to develop more and explore a larger volume of soil getting a greater absorption of nutrients and water and therefore help the plant to increase its yield. In addition, their propagules extend to the outside of the roots, which facilitates a better transport of the nutrients inside the roots to the plant. With more abundant and balanced nutrition, the plant achieves a more controlled hormonal balance and shows a better response to any type of abiotic stress. The plant increases its physiological and photosynthetic activity, improving its productive capacity. In short: Symborg Glomus gets the plants to give more and better production. The treatment is based on a biological principle, and does not produce undesirable residues in plants, nor does it alter the genetic characteristics of crops. It is 100% compatible with the environment. Numerous studies supported by research centers and universities have demonstrated the ability of Symborg products to promote intense mycorrhizal colonization through seed treatment. Symborg Glomus infective units are able to remain inactive for a long time in the seeds until they germinate to give rise to future crops. The roots of these cultures will already be developed effectively colonized by this mycorrhizal fungus if the seeds have been previously treated. In numerous field trials conducted on plantations of various maize varieties the results show average yield increases of 18% over untreated crops. Symborg seed-grown maize plants generate larger and heavier cobs, and increase the number and size of grains in all varieties. The same happens with other cereals: in wheat the results show productive increases ranging from 9.7% to 16% according to varieties. In barley the number of tonnes collected per hectare increases from 8.5% to 15% according to varieties and in soybeans the average increases are 8.5%. Symborg has a team of experts dedicated to research to enhance the qualities of its microbial seed treatments. With several products developed in the market, Symborg continues to investigate the improvement and expansion of its treatments for seeds. Symborg has its own laboratory and a team of highly qualified researchers who collaborate actively with accredited research centers and universities. Symborg experts carry out an intensive work of evaluating the physiological response of seeds and crops to their current treatments, improving procedures for their application, checking for possible interactions with other agents, finding new beneficial microorganisms for plants, etc. Symborg is a leader in agricultural biotechnology research and development. Its innovative biological solutions maximize crop yields and protect the environment, addressing the challenge of sustainability. It was founded in 2009 by Jesús Juárez and Félix Fernández, both with extensive professional careers in the fields of research and agriculture. With subsidiaries in Europe, USA, LATAM and Asia and a technical sales team specialized in biotechnology, Symborg has become a leading company in Bioagro and its products are used in over 30 countries.